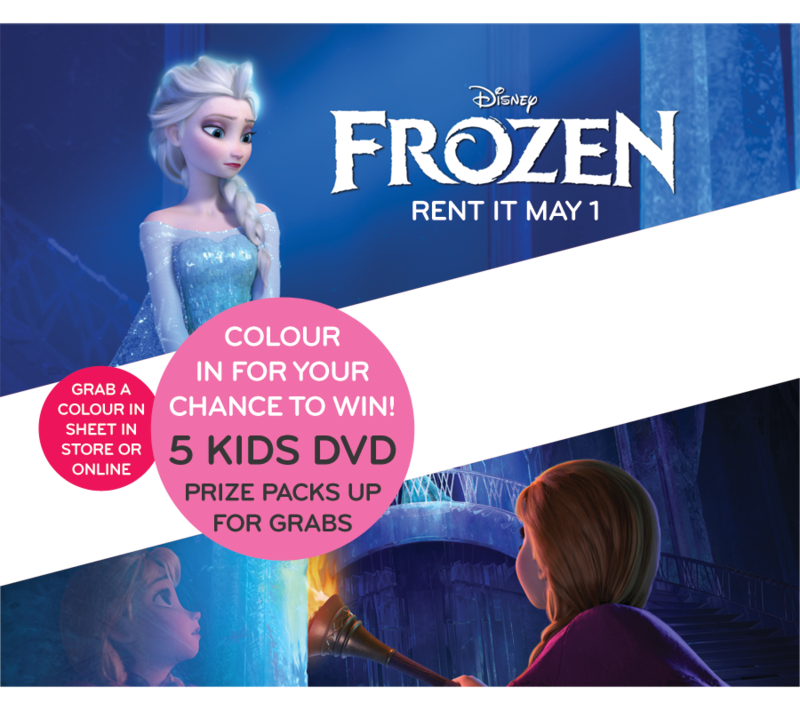 We’re giving away 5 x DVD Kids Prize Packs consisting of: – James & The Giant Peach – Inspector Gadget – Lemonade Mouth – Mars Needs Moms – Meet The Robinsons For your chance to win 1 of 5 DVD Kids Prize Packs, colour in this entry form, fill in your details, and hand in at your local Civic store by May 29, 2014. Entries judged at Civic Head Office, 110 Bourke Road, Alexandria NSW 2015 on 12 June 2014 with winners notified by 26 June 2014. Entry is open to Australian residents 14 years and under with a parent or guardian with a current Civic membership. Normal membership conditions and extended rental fees apply to free rental offer. Free rental offer must be taken at the time of competition entry.